Pinterest has just introduced their new search advertising platform, promising to shake up their business model and all of social media marketing. For those unfamiliar with the popular social media platform, Pinterest allows users to “pin” links, images, and videos to their own personalized board. Pinterest is the 16th largest social media platform, clocking in at 150 million monthly active users. To put that number into perspective, it is about half the size of Twitter (319 million). There are over 75 billion pins on the site. These numbers leave a lot of keyword search options available to advertisers, especially when the site has an average of 2 billion searches per month. Pinterest is very popular among millennials in the United States, with 67% of them frequenting the site. 87% of users are female. Search advertising is big business. After dominating the industry for nearly 20 years, Google reported a revenue of over $20 billion in 2016. 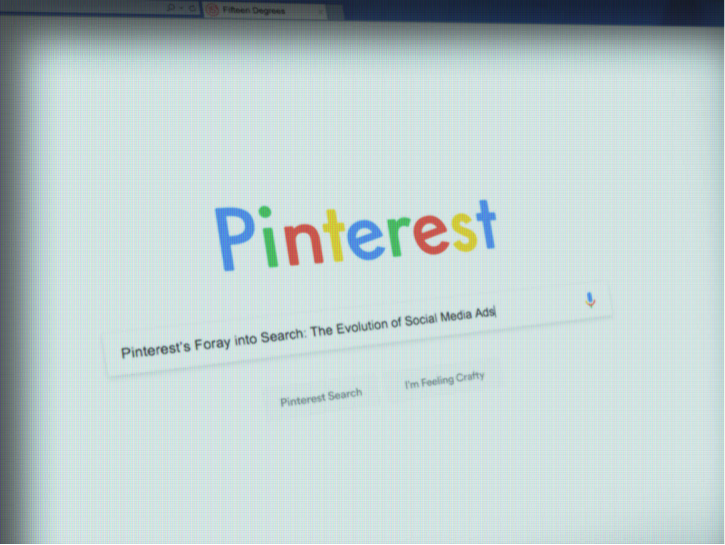 Pinterest has taken this search bid model and applied it to their unique platform. Pinterest’s new advertisements are sold via a digital auction on a cost-per-click basis. The big difference from Google’s model is that Pinterest ads are image driven as opposed to text-based, keeping with their visually based identity. This shift provides marketers with new options for search by removing the restrictions associated with text-based keyword buying. Previously, Pinterest advertising would include keywords, but the ad would only run throughout the site alongside relevant content. Advertisements will now appear right after each search for more immediate effectiveness. Branding opportunities are limitless when you can be the first “shoe” people see when they search for “shoes,” all while being cheaper than Google’s more traditional option. Marketers selling the right product will be able to take full advantage of the demographics dominating Pinterest, millennials and females, making it a truly significant tool. Featuring your product through a Pinterest search advertisement, where 93% of users said they “use the site to plan offline purchases,” will make their new search product (and your product) impossible to ignore.